System 2000 | Pro Chem, Inc.
Mount back plate to wall. Lock dispenser with reservoir into mounted plate. Turn refill tank upside down and slide into plate position, which breaks the foil seal. Product flows into reservoir, emptying completely during use with no waste. 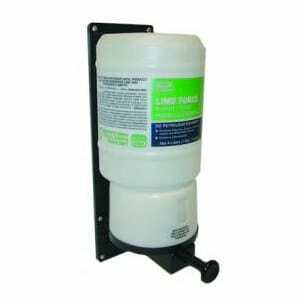 When empty refill tank needs to be changed, a full 1000 ml of product will be left in reservoir.